In a large bowl mix together melted butter, honey, garlic and salt and pepper. Add the carrots into the bowl and toss them until evenly coated. Spread out in a single layer, evenly on a large baking sheet lined with foil. 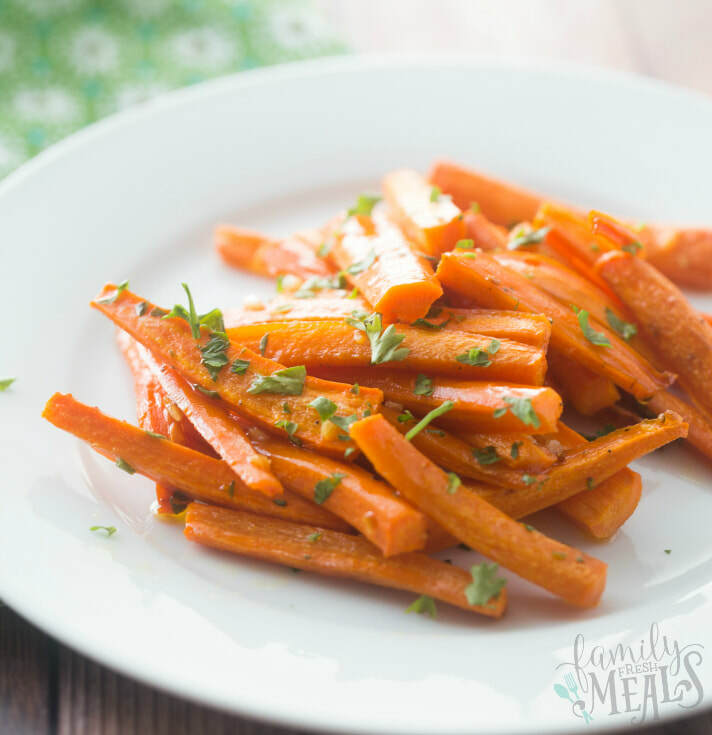 Bake for 25-30 minutes or until carrots are tender. Transfer to a serving dish and garnish with parsley.